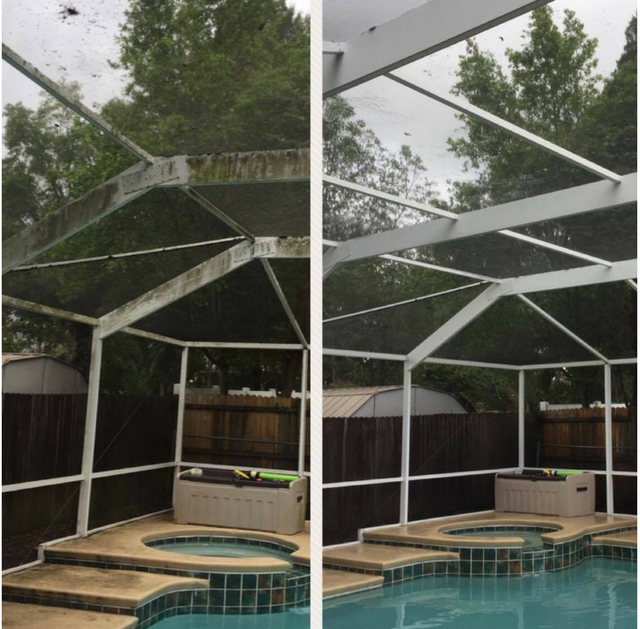 On Time Pressure Washing can help you make your Hillsborough County home and other landscaping areas clean and looking new again! Looking for a fresh look on your Hillsborough County house, driveway, or any other structure? Click here! Running a Hillsborough County business? Your image is everything, let us give it a fresh look for your Hillsborough County customers! Click here! We are Hillsborough County’s premier commercial and residential pressure washing company. We are Hillsborough County’s first choice for commercial pressure washing, property maintenance, and residential exterior cleaning services. There is no pressure washing job that is too big or too small for our power washing company. We use softwash and high pressure to blast away all dirt and debris from your Hillsborough County property. Call us today or contact us for a free estimate on our services. We also offer handyman services for many jobs that you need help with in the Hillsborough County area. In addition to protecting the surface from stains, many sealers can dramatically improve the appearance of your home or business. A “wet” look or high-gloss sealer brings out the colors of each paver. For those individuals and companies desiring less of a visual impact there are “satin” and “natural” finishes that provide the same great protection while minimizing the change in appearance. APPEARANCE – Enhance the appearance of your hardscape… sealers are able to bring out and intensify the natural paver colors. MAINTENANCE – Create a surface that improves maintenance efforts by making it faster and easier to clean. PROTECTION – Sealed surfaces are more resistant to undesired stains such as oil, food/drink spills, etc. Some sealers also may protect against salts, acids, and other corrosive substances. 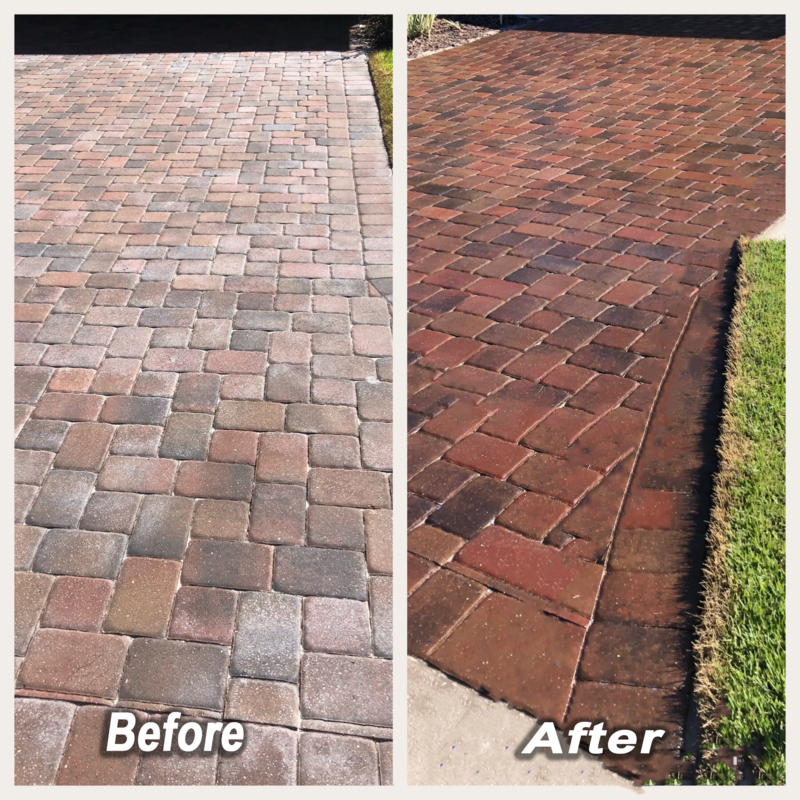 PRESERVATION – A UV-rated sealer will not yellow as it protects the paver colors from fading in the harmful Florida sunlight. STABILIZATION – Reinforce pavement integrity by stabilizing joint sand which also deters weed growth and insect activity. VERSATILITY – The same sealer used on your pavers can be used on other areas in your hardscape including concrete, exposed aggregate, stone, etc. Ryan did a phenomenal job! So pleased with all his work! I didn't even know my patio could look as awesome as it does � Ryan was great! I would recommend him. Just want to Thank Ryan for the Amazing Job he did at our house today. I think I won for the worst driveway he has ever Washed but it came out Fantastic. If you need any pressure washing done from Soft Pool Cage wash to House and Driveways give Ryan a chance to come and look at it. You won't be dissapointed. The Bazarte brothers were awesome. They arrived on time, were knowledgeable, and efficient. They were kind and I would definitely call them again. You can't go wrong with these guys. Professional Brick Paver Sealing and Cleaning, Residential Cleaning and power washing for; driveways, roofs, house siding, gutter, patio, pool decks, and more. Commercial cleaning and power washing for; building washing, roof cleaning, gum removal, drive thru cleaning, concrete, and dumpsters. Also providing handyman services. Tampa, Plant City, Apollo Beach, Temple Terrace, Riverview, Brandon, St Petersburg, Clearwater, Sarasota, Wesley Chapel, Oldsmar,Pinellas Park, Bradenton, Ruskin, Largo, Valrico, Hillsborough County, Pasco County, Pinellas County, and surrounding areas. On Time Pressure Washing is based out of Tampa Bay area and provides residential and commercial pressure washing.